It’s the time of year when domestic boilers all over the UK flicker into life again, but unfortunately there will be some households where it’s tempers that are fired up rather than the heating, simply for lack of an annual boiler service. Unlike the high performance cars that we may spend a fortune on and don’t really need, the upkeep of a boiler is often woefully neglected, despite the fact that it’s crucial to everyday life and can cost very little to keep in perfect working order. To ensure your boiler remains safe and operational, there are just three things to remember. Follow these simple steps and there’s no reason why it shouldn’t deliver all the heat and hot water you need without a hiccup for many years. Firstly, register your warranty. All UK boiler manufacturers offer a range of warranty periods with new boilers but unless the warranty is registered with the manufacturer within the period specified after installation (usually 28 days), it won’t be valid. Warranties, especially if they are for five years or more, are very valuable and can save a great deal of expense on parts and labour, not to mention effort and stress, if anything does go wrong within that time. It only takes a couple of minutes to do this online or by post. Next – and equally important – is the annual boiler service, which is a requirement for the warranty to be valid. Although this is stated on every boiler manufacturers’ warranty terms & conditions, unfortunately some householders either don’t read the warranty card or they turn a blind eye and then get a nasty surprise when they discover their boiler is not covered. Modern combi boilers that have few moving parts and are well built using innovative technology are designed to be straightforward to maintain. 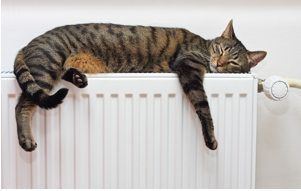 A qualified engineer may charge as little as £60 for an annual service, which is a small price to pay for another year of a valid warranty, the comfort of constant heat and hot water and the peace of mind that comes with it. Last but definitely not least is the importance of using a Gas Safe Registered engineer to carry out your boiler service. In the wrong hands, gas can be deadly so never cut corners, a simple check is all it takes.